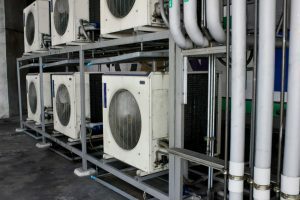 While there are plenty of AC companies throughout Central Florida, only one AC repair company is preferred among Florida home and business owners. That company is Caldeco Air Conditioning & Heating. Caldeco Air Conditioning & Heating has served the AC repair, installation and maintenance needs of Florida homes and businesses for nearly 30 years, and as a family-owned business, you can rest assured that you will receive the highest level of customer care on every service call. At Caldeco Air Conditioning & Heating, we are focused on overall excellence with everything that we do. Committed to superior customer service and top-quality workmanship, we are recognized as the Hometown Expert for any AC-related needs. When you call on us for your home or commercial AC repairs and services, you will find our service is always prompt and professional. Our team always arrives in well-stocked vehicles, so they will be ready to handle nearly any common repair job. Our technicians are also clean-cut, courteous and highly-skilled, with each having the experience and training to service, repair and install nearly any make or model unit. For new system installations, customers can have confidence in Caldeco. We are a Carrier Factory Authorized Dealer, which means that every Carrier system installation that we complete is backed with a 1-Year, 100% Satisfaction Guarantee. Better still, we are also one of the few AC companies to be a Carrier Distinguished Dealer and a current and five-time winner of the Carrier President’s Award – an accomplishment only earned for best-in-class sales, service and support. If you are looking for an AC repair company that will serve your home or business in Wesley Chapel, Trinity, Land O’ Lakes, Clearwater or the surrounding areas, contact Caldeco Air Conditioning & Heating today for more information about our services or to schedule a service call. There’s several AC companies, but there’s only one Hometown Expert. We look forward to serving you!